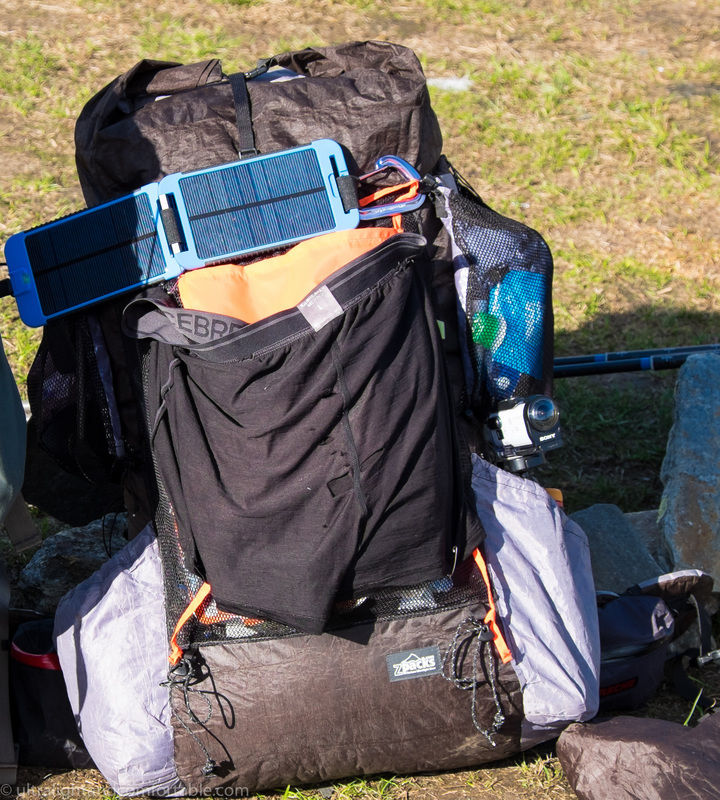 After the last week of hiking I decided to do a quick review on a very important piece of gear for somebody like me who brings all kinds of photo and video equipment on a longer hiking trip – that is of course the battery power pack and solar charger. In this case I did a quick video review of the Powermonkey extreme along with the solarmonkey extreme. 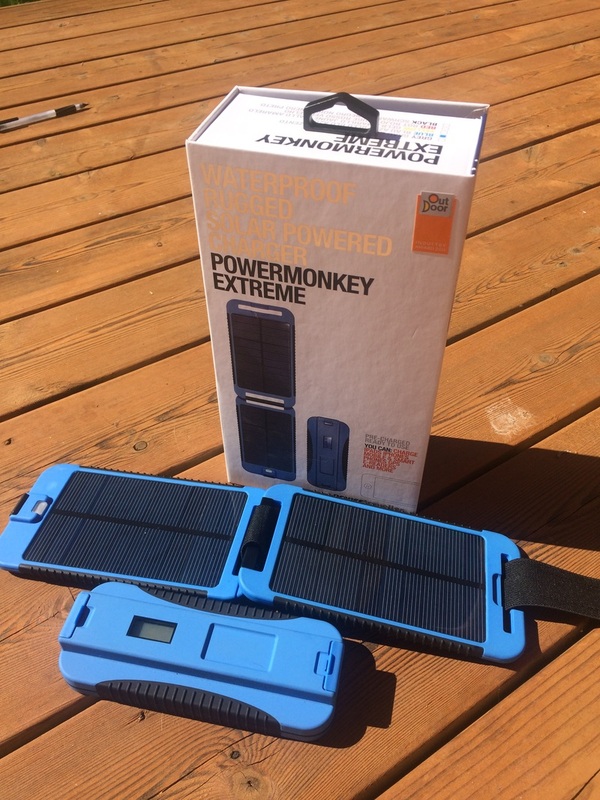 The full blue powermonkey extreme battery pack and it’s useless sibling the solarmonkey together with pretty packaging. 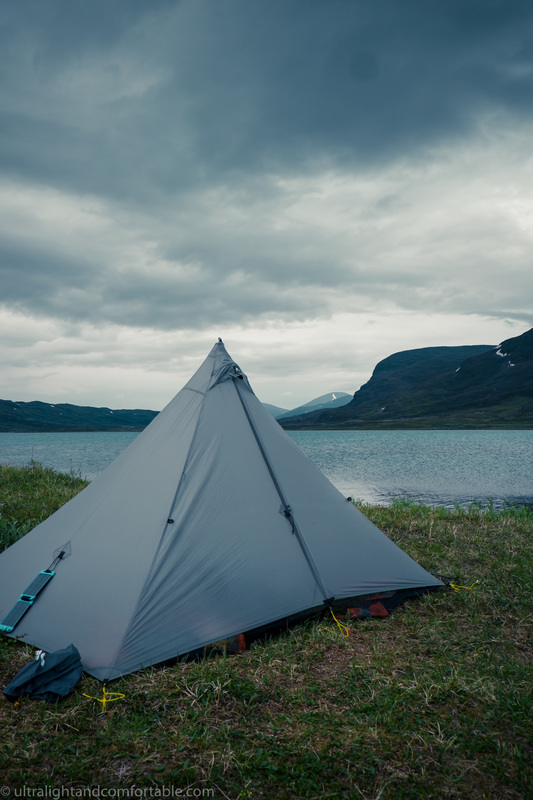 Though almost completely useless – the Solarmonkey charger does look good.. Looking badass on the side of my Duomid. 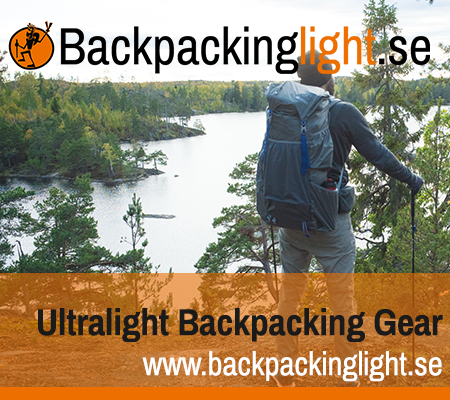 Looking pretty awesome strapped on my Zpacks arc-blast backpack and newly washed icebreaker wool underwear – the solarmonkey doing it’s thing… nothing that is.. well atleast not enough.